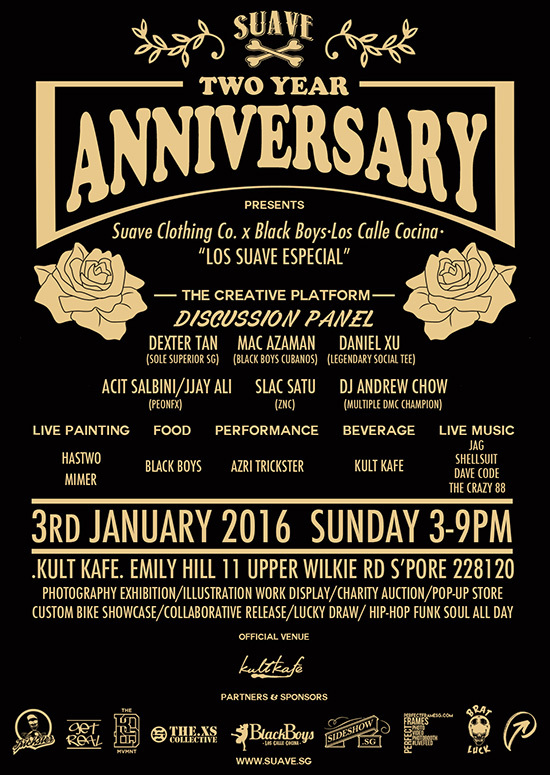 “Suave turns two and we would like to celebrate it with everyone. Embracing one common interest, the team has come up with a range of showcases and lined up to impress. Reflecting the underlying cultures brewed within Singapore. The event will be a hub to exhibit our local street culture with food, music, art and fashion”.